Ralph E. Marti, age 78, of Alexandria, died unexpectedly Monday, February 4, 2019, at Alomere Health in Alexandria. A memorial service will be held at 11 a.m., Saturday, February 9, 2019, at St. Paul’s Evangelical Lutheran Church in Alexandria with Rev. Michael Neumann officiating. Music provided by organist, Sharon Heike and vocalists, Greg and Connie Wales. A visitation will be 2 hours prior to the service. Ralph Eugene was born on October 6, 1940, to Elden and Gladys (Petermann) Marti in Sleepy Eye. He was baptized and confirmed at St. John’s Lutheran Church in Sleepy Eye. Ralph grew up in Sleepy Eye where he attended school and graduated from Sleepy Eye High School in 1958. Following his education, he lived in Minnetonka where he worked with the street department. He returned to Sleepy Eye in 1965, to farm. Ralph later married his bride of 51 ½ years, Ruth Anne Kamrath at St. Paul’s Lutheran Church in Tomah, Wisconsin. Together they lived in Sleepy Eye where Ralph continued farming, drove school bus, and worked for his brother at the Marti Farm Center. In 1987, he started managing Lakes Gas in Essig, Minnesota until 1995, when he was transferred to manage the Miltona branch. They made their home on Lake Ida and Ralph retired in 2002. They moved to Alexandria in 2008, where they resided until his death. 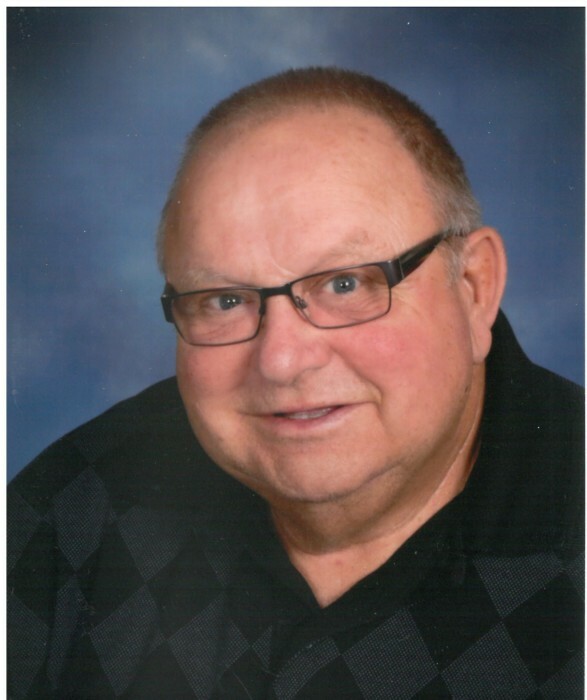 He was a member of St. Paul’s Evangelical Lutheran Church serving as an Elder, Church Council Member, and Trustee. He was also a member of the Miltona Lions Club. Ralph enjoyed fishing and hunting, especially deer. He also loved spending time with his grandchildren at the lake where he cleaned and they ate, many small fish. Ralph and Ruth spent time volunteering with “Let’s Go Fishing” for special needs adults. He also volunteered at Knute Nelson delivering mail and the Nelson Gables Fitness Program. Ralph loved spending time in the kitchen cooking, baking and canning. He provided weekly baked treats for the residents at Nordic Meadow Apartments in Alexandria. He was preceded in death by his parents; and brother, Warren Marti. Ralph is survived by his wife, Ruth; four daughters, Sandra (Joseph) Giovannettone of Watertown, South Dakota, Becky (John) Jirik of Parkers Prairie, Tammy (Mike) Abu-Shawish of Omaha, Nebraska, and Barbara (Bruce) Steidl of Alexandria; brother, David (Nancy) Marti of Alexandria; sister-in-law, Nereda Marti of Hastings; seven grandchildren, Heather (Dylan) Lauseng, Mitchell (fiancée, Marissa Reilly) Giovannettone, Phillip Giovannettone, Olivia Giovannettone, Matthew Jirik, Nicholas Jirik, and Huda Abu-Shawish; step-granddaughter, Zakiah (Jose) Navas; step-great-grandchildren, Isaiah Neve and Corolina Navas; and several nieces and nephews.